Speaking exclusively at the NiGHTS into Dreams forums Steve Lycett of Sumo Digital has officially revealed NiGHTS role in Sonic & SEGA All Stars Racing after the cat was let out of the bag a few days back thanks to a certain eagle eyed forumer known as Doctor Eggman. Right then – first off… We didn’t forget NiGHTS! We’ve given NiGHTS a very important role. He starts all the races, and also finishes them too! He also resides over Time Trial, whenever you set a new lap record, you’ll have NiGHTS flying along with you celebrating! I have to admit the main reason he’s in was after we saw your heartfelt pleas, especially those of DiGi and TRiPPY, we had to make sure NiGHTS was in and played an important role. After all, we really didn’t want them to burn all their collection now. So whilst he’s not playable, he very much made it in, and as a result of the huge amount of support for the character that you all showed. Anyway – cats out of the bag, so I figured we best make it official! UPDATE: Steve Lycett from Sumo Digital under his S0L nickname has confirmed the Nightopian sightings are just environment reflections. However Steve has seen how keen the community is to see NiGHTS in the game and still doesn’t confirm either way wether the character is in the game or not. You guys really are rather desperate to see NiGHTS in there aren’t you! Put it this way – that would have taken some quite extensive photo-shopping – and you’re also credting us with fair more deviousness than even I have! I’ve just spotted another Nightopian in the above picture. It’s in the shiney wood finish in the red circle, turn your head to the left and you’ll see its head, eyes and large white collar. It would explain the sparkles in the screenshot too. 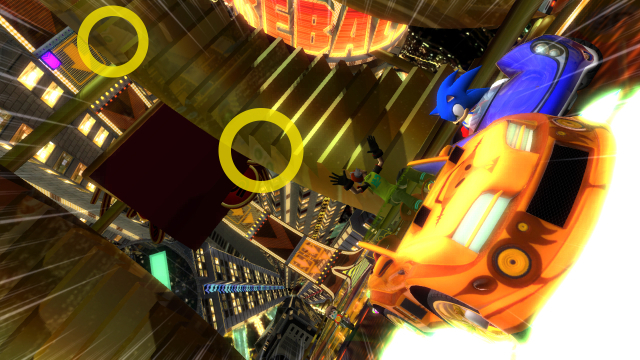 Eagle eyed SSMB member HunterTSF has spotted Nightopians in the above old screenshot of Sonic & SEGA All Stars Racing. Nightopians are small residents of Nightopia seen around various stages in the NiGHTS games. 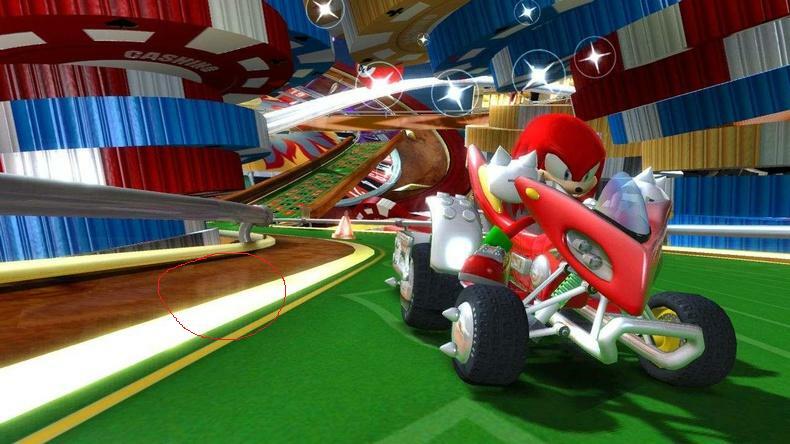 This isn’t confirmation but could very well mean our favourite jester NiGHTS could very well be in Sonic & SEGA All Stars Racing after all. Let’s hope NiGHTS is the now possibly delayed special announcement Sumo Digital’s Steve Lycett has been talking about recently. Thanks again to HunterTSF and his eagle eyes! 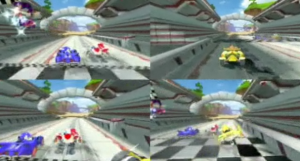 As Sega’s knockabout racer draws ever closer to release there’s still a vast amount we don’t know. Ryo Hazuki from Shenmue was a real surprise for long time fans and Sega are being extremely coy about revealing other playable characters. 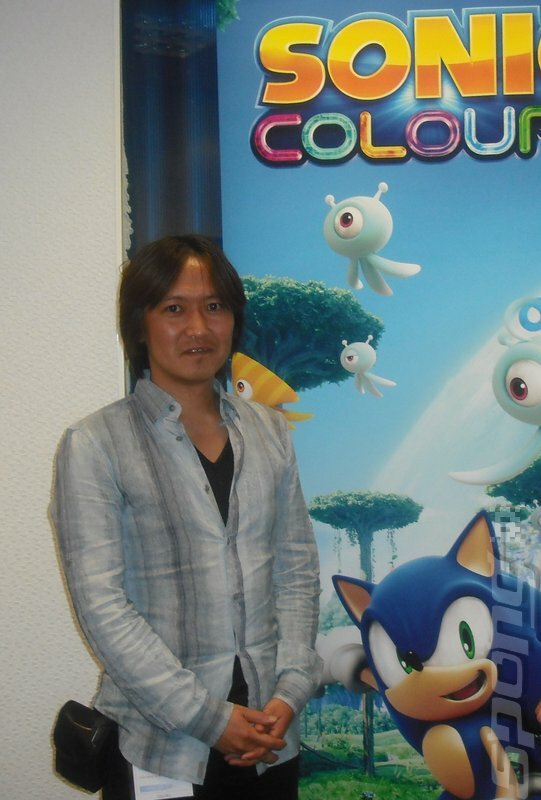 One particuarly high profile character we’ve heard nothing about thus far is Sonic Team’s other game character NiGHTS. The devil-may-care jester featured prominently in the run up to the release of the last gathering of Sega characters; Superstar Tennis. His profile had been raised considerably by the release of Journey of Dreams for the Wii and even rival Reala got in on the action. Fast forward to today and NiGHTS is conspicuous by his absence. Understandably this has his fans worried. 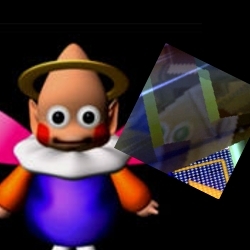 DiGi Valentine of fan site NiGHTS Into Dreams.com sums up the mood perfectly. 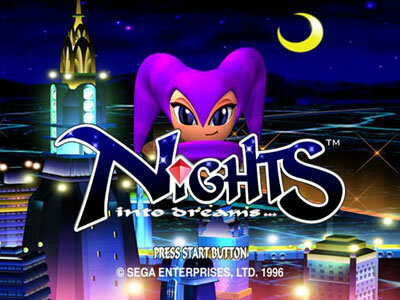 Because of this DiGi has set up a campaign to make sure Sega don’t forget about NiGHTS. While any call for a character to be included in a game would usually be pointless so close to release this particular campaign has been spawned from rumours of impending DLC. Should you feel passionately enough to help this worthy cause you can find the plan of action in full at the NiGHTS Community Forum. 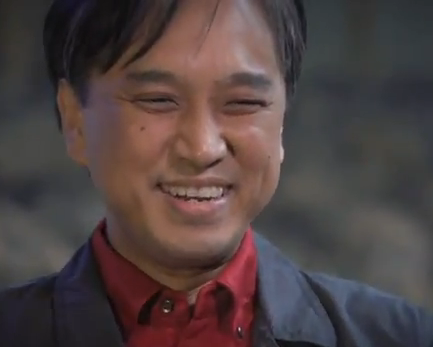 The crux of the campaign is to make Sega themselves aware of the fan outcry for NiGHTS. 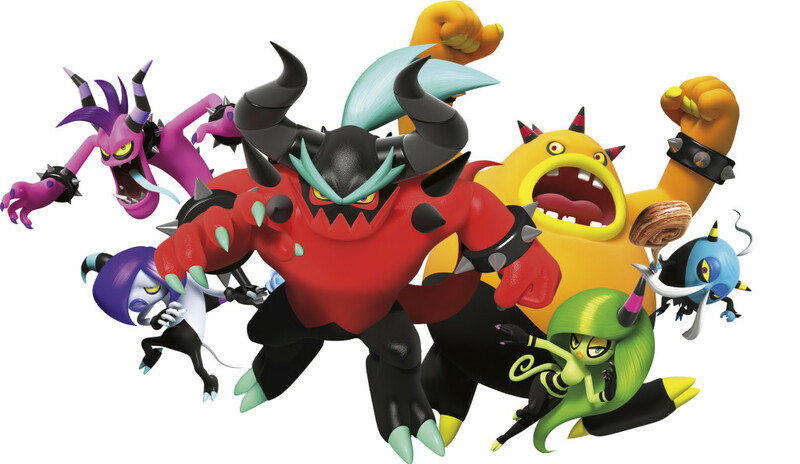 A previous effort was directed towards Sumo Digital who were entirely sympathetic to the cause but ultimately claimed their hands were tied and couldn’t reveal anything. Even if NiGHTS is in the game this may push Sega over the edge and have them reveal his existence this alleviating. So if you want to make a difference, read the plan carefully and whatever you do, don’t forget NiGHTS. Takashi Izuka has said in an interview with German site G-Wie-Gorilla that he think’s Nintendo’s machine was the right choice for NiGHTS and if they make a future installment it will be for Wii. The new Wii game NiGHTS: Journey of Dreams has seen a mix of positive and negative reviews so far with it’s Japan and US launches but with the European release soon and the NiGHTS into Dreams port to PS2 hitting Japan soon we won’t count the jester out just yet. For the full interview click here but beware, the text is all in German. Stay tuned to Sonic News for more news as it happens! Sega Japan and Wavemaster are teaming up to come out with a special Sega Saturn 10th Anniversary DVD and CD compilation, both can be bought seperately. The Visual Collection Vol. 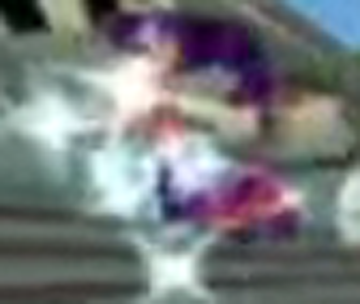 1 is a DVD that features opening and endings to 16 games, including Sonic Team’s NiGHTS Into Dreams.